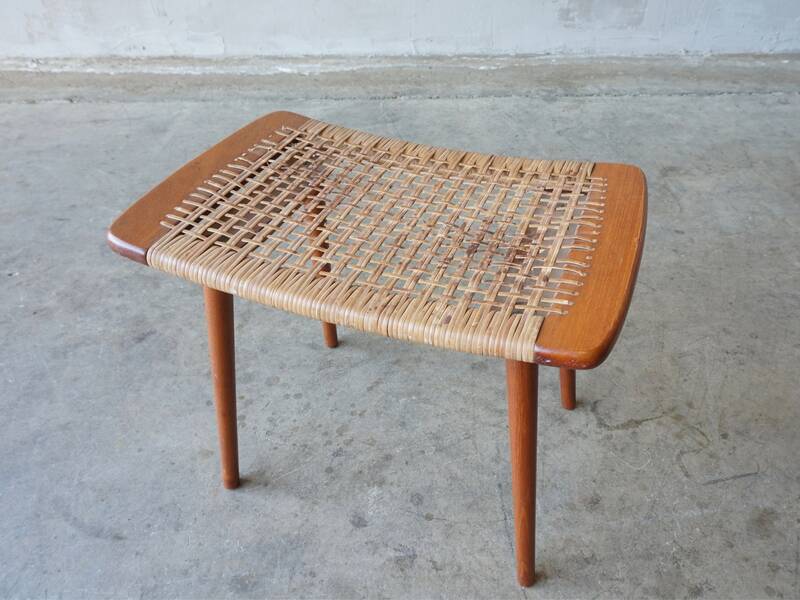 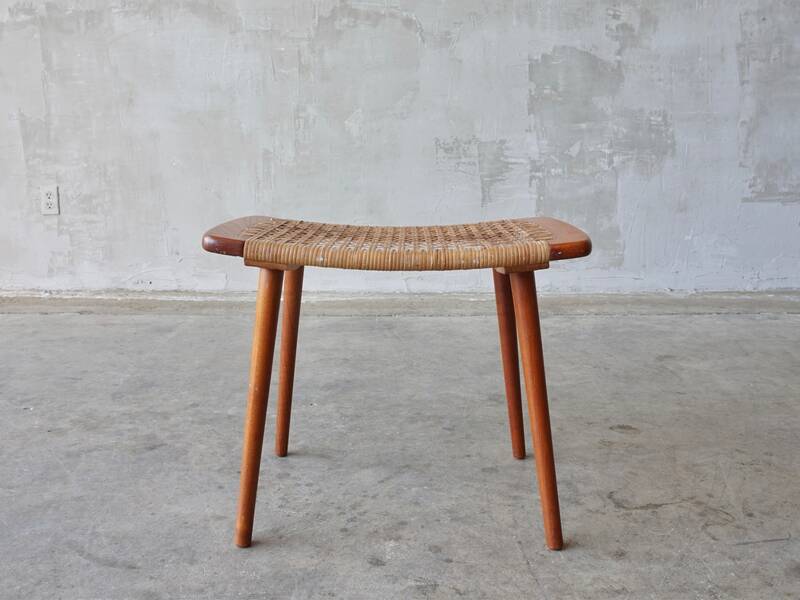 Beautifully simple teak and cane stool or ottoman. 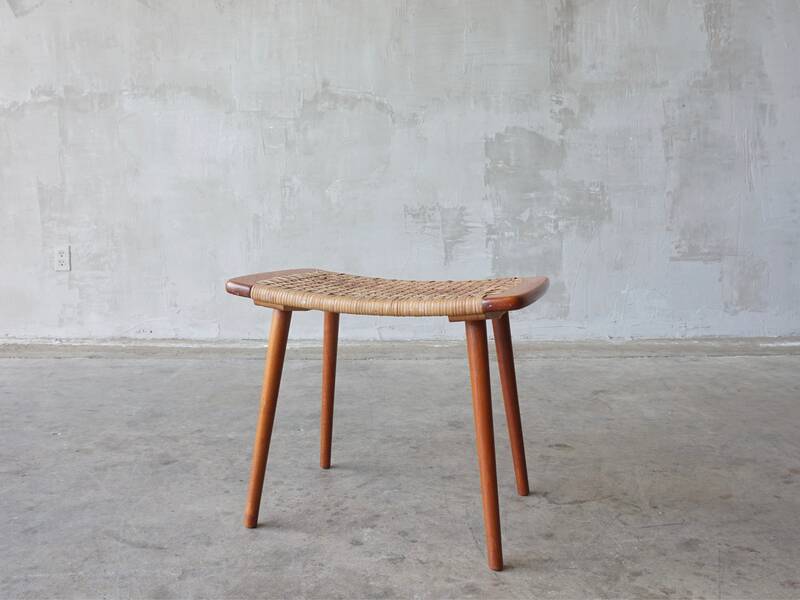 Delicate in appearance, yet sturdy enough to be used as a sitting stool. 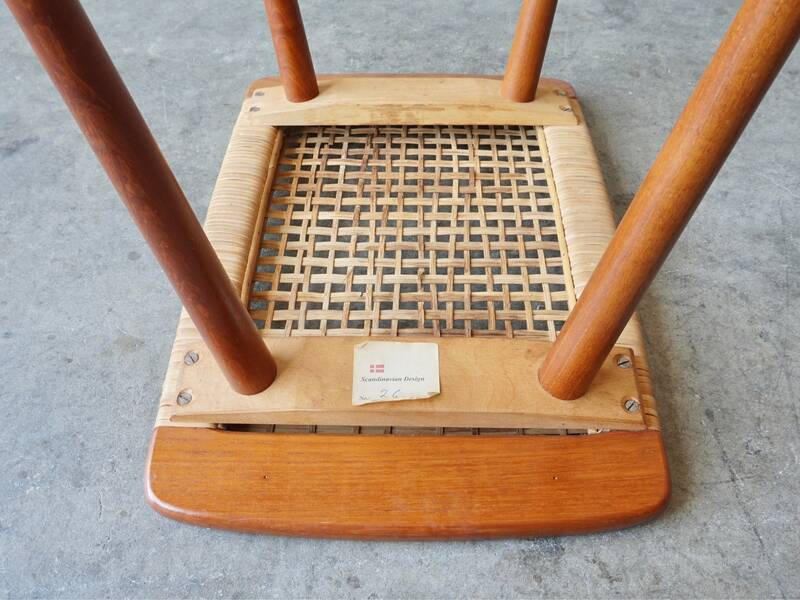 Cane has several breaks, but remains sturdy. 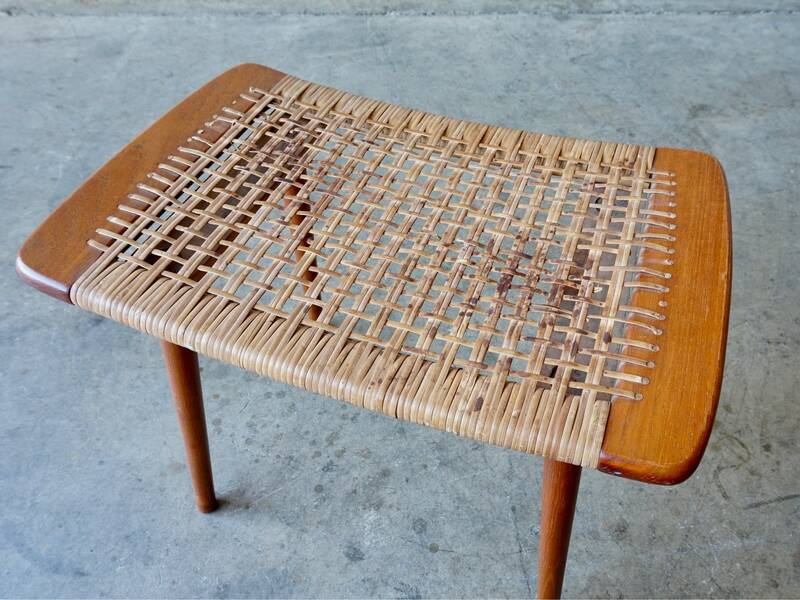 Measures 21.5”W x 14”D x 17.75”H.